Anthony. The Anthony’s have been married since 2010 and have a 10 year-old son. Their potential divorce raises questions about what would happen with their assets and who would get custody of their son in their divorce, were such a case to arise in New Jersey. Unlike Angeline Jolie and Brad Pitt, about whom I blogged in “Fight Club: What You Can Learn From Angelina Jolie’s and Brad Pitt’s Long Term Relationship With Short Marriage”, it is reported that the Anthony’s have a prenuptial agreement in place. So if enforced, distribution of marital assets may not be an issue. However, the prenuptial agreement would not resolve issues of custody of and child support for their 10 year-old son. Since the Anthony’s reportedly have a prenuptial agreement there would be two possible outcomes of their divorce in New Jersey. First, the prenuptial agreement, if enforceable, could negate any claims of relief regarding division of marital assets and the parties will receive what they contracted for in the prenuptial agreement. In the alternative, Lala Anthony could challenge the enforceability of the prenuptial agreement. 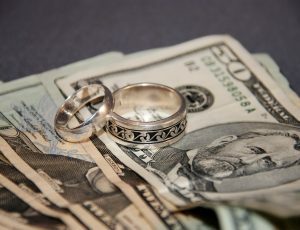 If the agreement is not enforceable, then she should could have a claim for division of assets prior to their marriage under contractual theories and a claim for equitable distribution of marital assets under New Jersey’s equitable distribution statute, N.J.S.A. § 2A:34-23(h). The burden of proof would be on the party challenging the prenuptial agreement. The next major issues the Anthonys could have relate to child support and custody of their young son. With respect to custody, the Anthony’s could share joint legal custody, which grants the parents the ability to make important decisions as to the child’s health, well-being and general welfare, such as decisions on major medical issues, the child’s education, and the child’s religion. The alternative would be the one party has sole legal custody, which less common in New Jersey, in which case the parties do not make such decisions jointly. New Jersey courts tend to encourage a shared, joint custody arrangement where possible. The Anthony’s also need to make an arrangement for physical custody, which relates to where the child is physically living. Usually, one parent has primary physical custody of the child, which means the child lives that parent most of the time, while the other noncustodial parent is given a schedule visitation or parenting time. Courts in New Jersey also have the authority to grant any custody arrangement that the court finds to be in the child’s best interests,, and if there is a dispute between the parents over custody and/or parenting time, typically custody experts will be retained (or appointed by the court) and offer expert opinion to guide the court. With respect to child support, under New Jersey law, the Child Support Guidelines governing child support apply in most cases. However, in “above-the-guidelines” cases they do not entirely apply. In such cases, the divorcing parents have a combined net income that is greater than $187,200 and, therefore, the Child Support Guidelines do not entirely apply. The Guidelines would be applied to the portion of the parties’ combined net income up to $187,200. For the amount above the $187,200 figure, the court must apply a more subjective analysis to determine the appropriate level of support, applying the statutory factors of New Jersey’s child support statute, which are listed below. Ostensibly, the Anthony’s combined net income exceeds $187,200 per year. It has been reported that Carmelo Anthony is paid more than $24 million per year by the New York Knicks. “The key to both the [g]uidelines and the statutory factors is flexibility and the best interest of children.” Pascale v. Pascale, 140 N.J. 583, 594 (1995). In the context of high-income parents whose ability to pay is not an issue, “the dominant guideline for consideration is the reasonable needs of the children, which must be addressed in the context of the standard of living of the parties. Strahan v. Strahan, 402 N.J. Super. 298 (App. Div. 2008). The needs of the children must be the centerpiece of any relevant analysis.” Isaacson, 348 N.J. Super. at 581. The consideration of needs centerpiece of any relevant analysis.” Id. at 581. The consideration of needs must include the age and health of the children–with the understanding that infants’ needs are less than those of teenagers–as well as any assets or income of the children. Id. Determining a child’s “needs” in high-income earning families presents “unique problems.” Id. at 582. “First, a balance must be struck between reasonable needs, which reflect lifestyle opportunities, while at the same time precluding an inappropriate windfall to the child or even in some cases infringing on the legitimate right of either parent to determine the appropriate lifestyle of a child. This latter consideration involves a careful balancing of interests reflecting that a child’s entitlement to share in a parent’s good fortune does not deprive either parent of the right to participate in the development of an appropriate value system for a child. This is a critical tension that may develop between competing parents. Ultimately, the needs of a child in such circumstances also calls to the fore the best interests of a child.” Id. Another underlying issue in the case of the Anthony’s is the ability of the party that has primary residential to relocate to another state with the child. Historically, New Jersey case law did not favor allowing a custodial parent to relocate another state with a child. However, the major advancements in technology which allow people to remain in constant contact with each other and the ease with which one can travel interstate has shifted the tide. Under the right circumstances, it is not unheard of for a Court to grant a primary parent’s request to relocate out of the State of New Jersey with a child. (12) any other factor bearing on the child’s interest. Id. at 116-17. As can be seen the factual circumstances of the Anthony’s divorce are not so simple. The divorce of the Anthony’s brings to the fore front many considerations overlooked in divorces where there are prenuptial agreements. If you are in involved in divorce where there is a prenuptial agreement, under the right circumstances there may be a basis for arguing that the prenuptial agreement should not be enforced, and the custody and child support issues are a critical part of the divorce which should not be minimized. An attorney should be sure to make the necessary inquiry as to all claims available to their client and raise them early on in the proceedings.